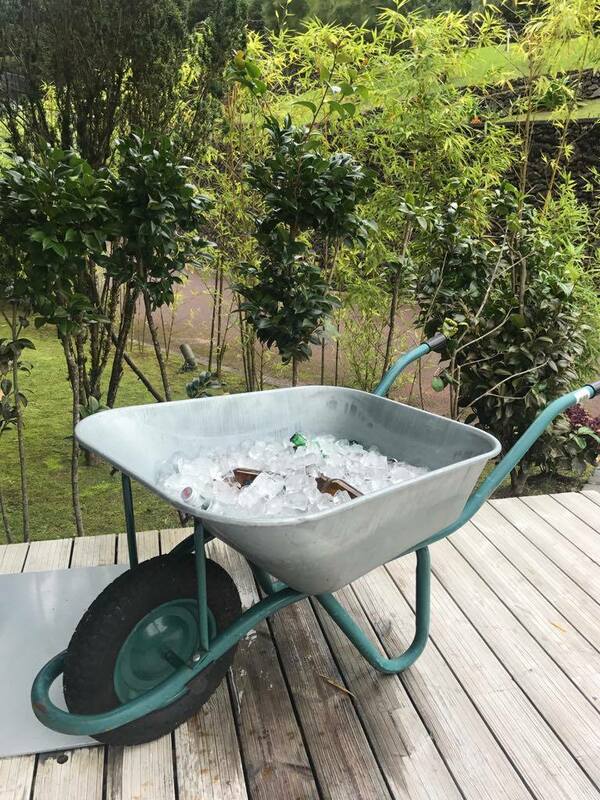 After eating and drinking heftily in Lisbon, we decided we were ready for a change of scenery and to throw in a few workouts on our vacation. 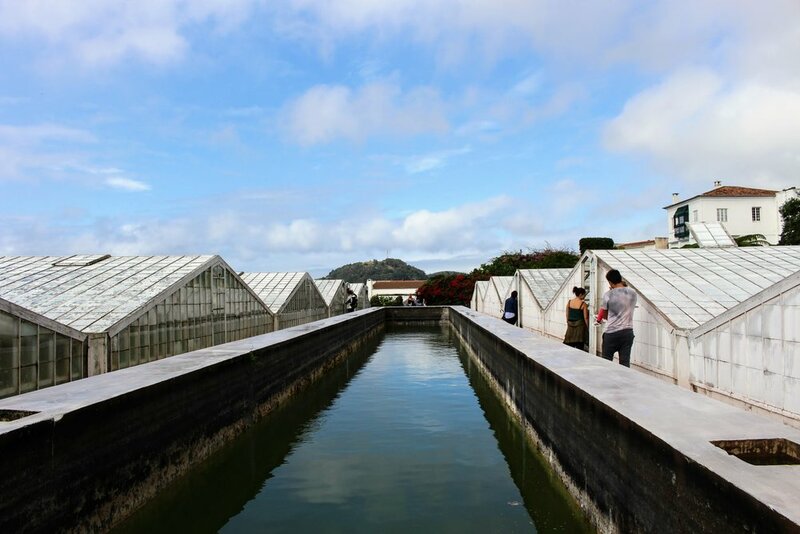 We packed our bags and flew to the Azores Islands. The Azores Islands are a group of nine islands off the coast of Portugal. (~800 miles.) Getting there was surreal. You feel like you are on an episode of Lost. You are surrounded by lush greenery, minimal people, and cows! Cows are everywhere! 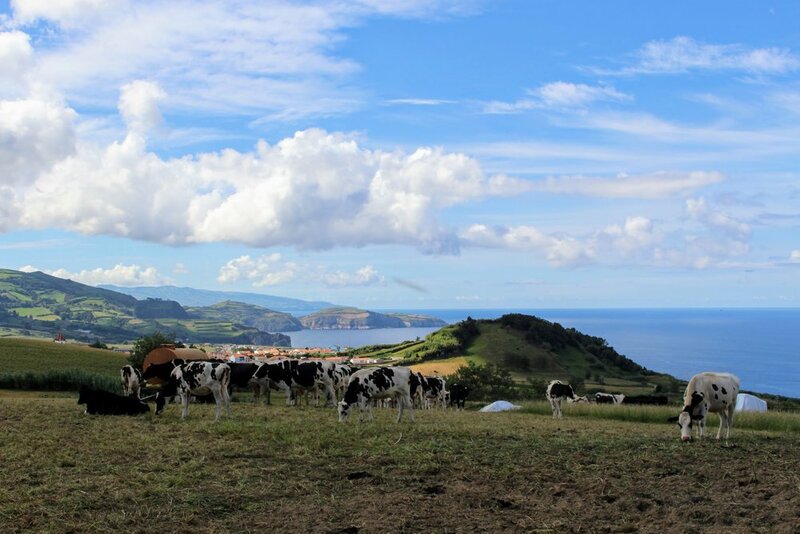 Most articles written on the Azores say it's the best-kept secret. Unfortunately, I think the cats out of the bag. Locals were saying this year they had more tourists than they've ever had before. If you have the chance, I'd recommend checking out the Azores out soon and in the month of September. It was pretty mellow the week we were there. I can't tell you how many times I had my breath taken away on this trip. The first island we went to was Sao Miguel. It's the biggest island of the nine, so we split our stay between a town called Furnas and downtown Sao Miguel. I recommend staying on this island for at least 4-5 days to make sure you are able to see everything. 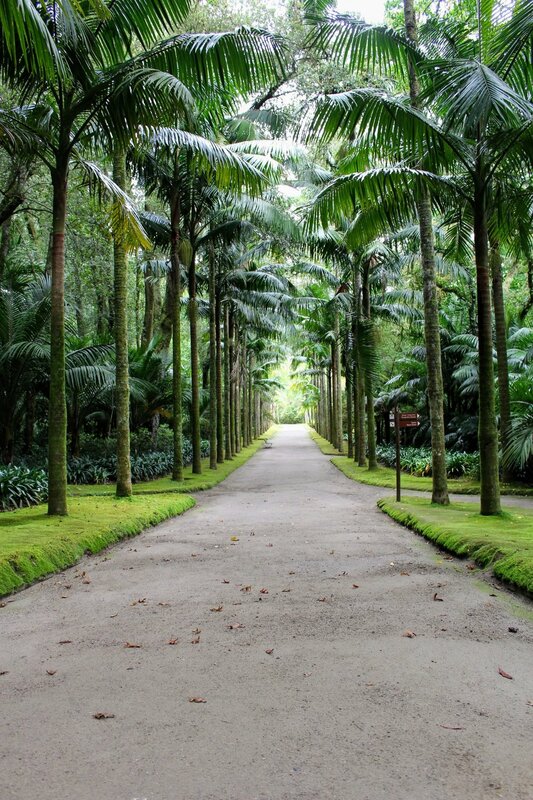 Below are pictures from our 2 days spent in Furnas. The town is full of natural hot springs running through it. 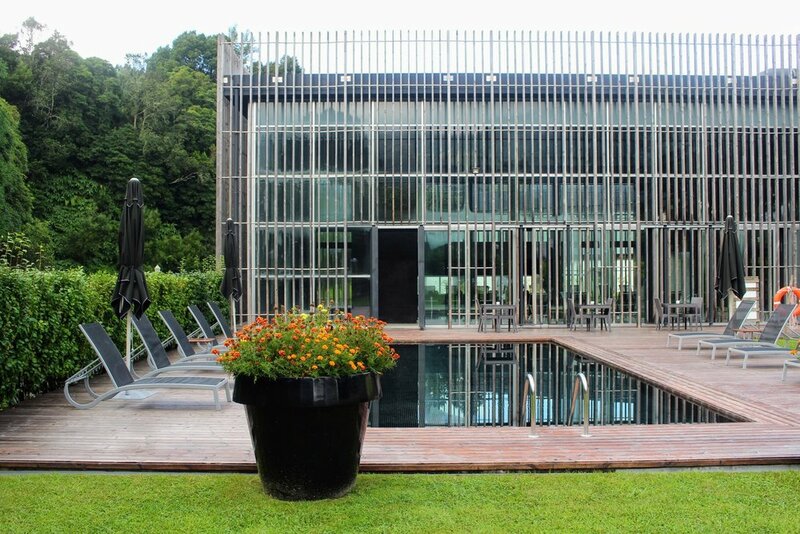 We stayed at Furnas Boutique Hotel. We had an incredible stay. The staff is super friendly, the rooms were huge, and the spa amenities were fabulous. This was their thermal indoor pool. It was advised to only stay in here for about 30 minutes. That was very hard to do. Beers by the pool using the honor system. 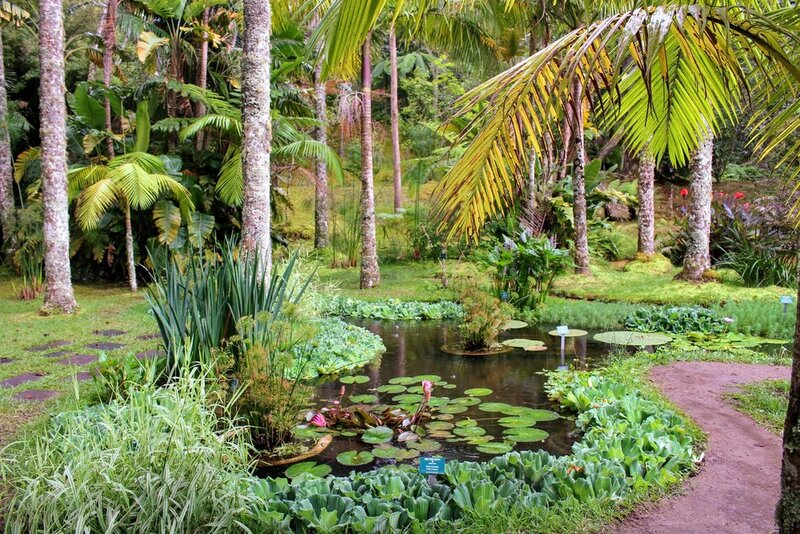 Conveniently down the street from the hotel was Terra Nostra Gardens. It's one of the most beautiful gardens in Europe that features a thermal swimming pool and more than 2000 different trees. Like a scene from Jurassic park! It was like we hard the whole park to ourselves. 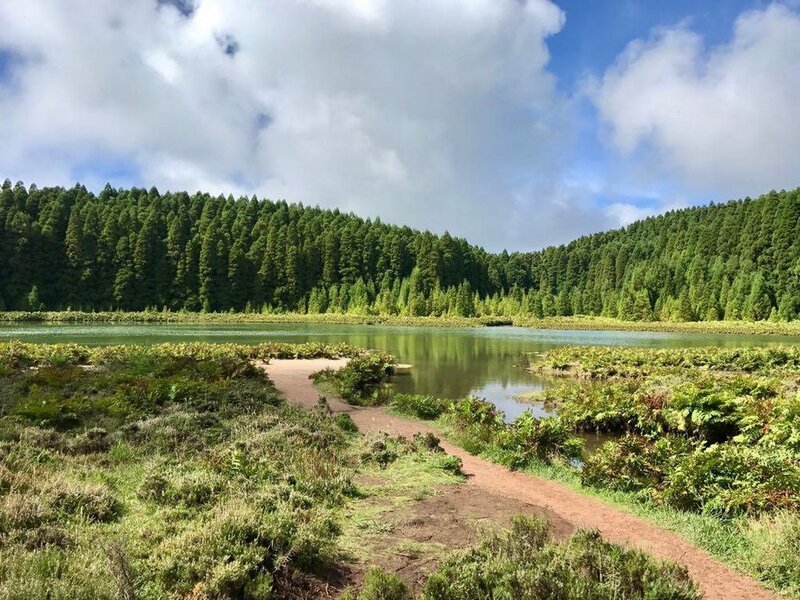 Another thing we did in furnas was go to Lagoa das Furnas. This is one of the three main crater lakes on Sao Miguel. 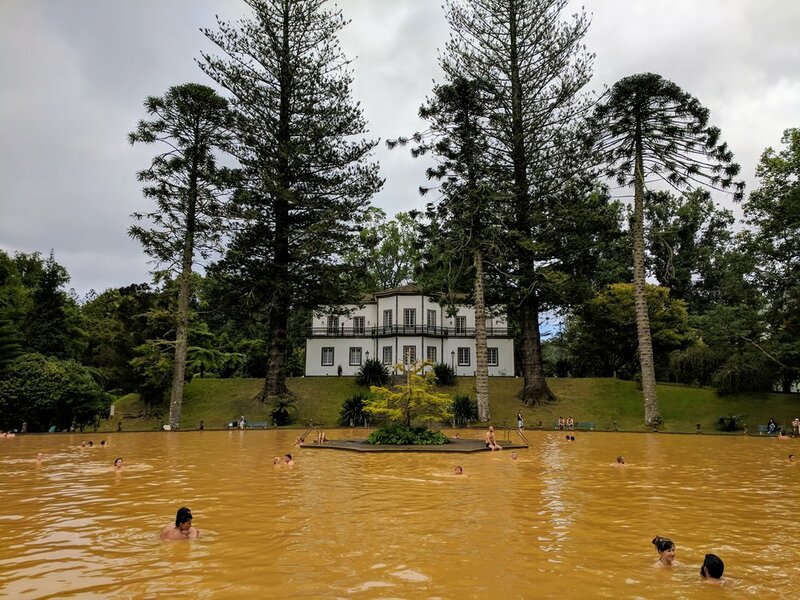 It also has the caldeiras (hot springs)- a Portuguese Stew cooked in the pots dipped into the naturally boiling water of the caldeiras and then buried and left for several hours. That's where the stew goes! The finished product. Cozido das Furnas consists of (are you ready for this): pigs' feet, pigs ears, pigs belly, beef, chicken, sweet potatoes, carrots, and cabbage Here is also a great write up on it by Munchies in case you wanted a more detailed explanation. 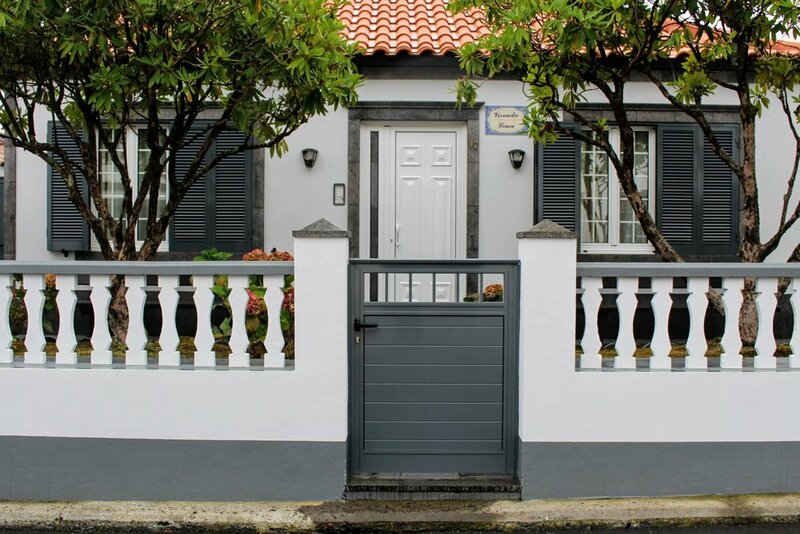 The sweet homes in Furnas. On our way out of Furnas, we stopped at the tea plantations. For free, you can cruise the beautiful property, watch the owners make tea, and then have a warm cup of tea! 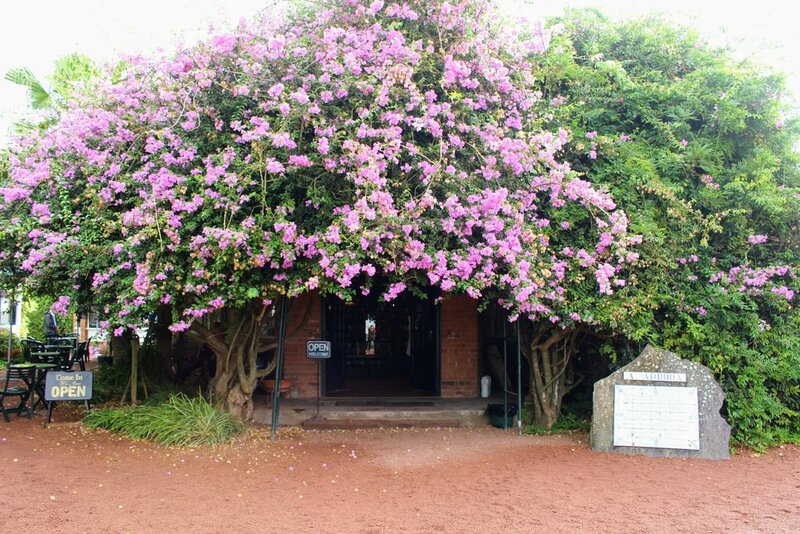 Cha Gorreana is the oldest, and currently only, tea plantation in Europe. The cows on the property. This place has been here since 1883. 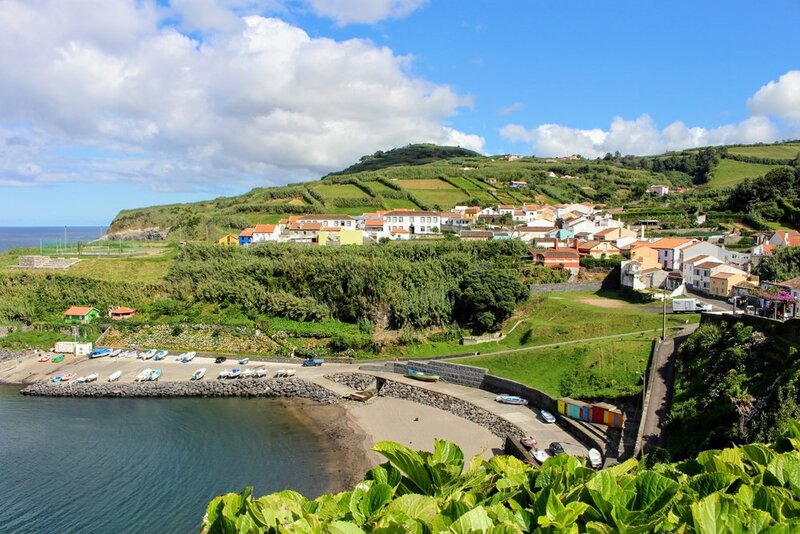 We cruised by one of the tiniest towns of Sao Miguel- Porto Formoso. After 2 amazing days in Furnas, we then ventured to downtown Sao Miguel. We stayed at the Hotel Azor. This is the only 5-star hotel on all nine islands. If can say one thing they excelled at, it was their breakfast. Best breakfast I've ever had at a hotel. (And it was free!) The rooftop pool also did not dissapoint. The pretty view from our room. 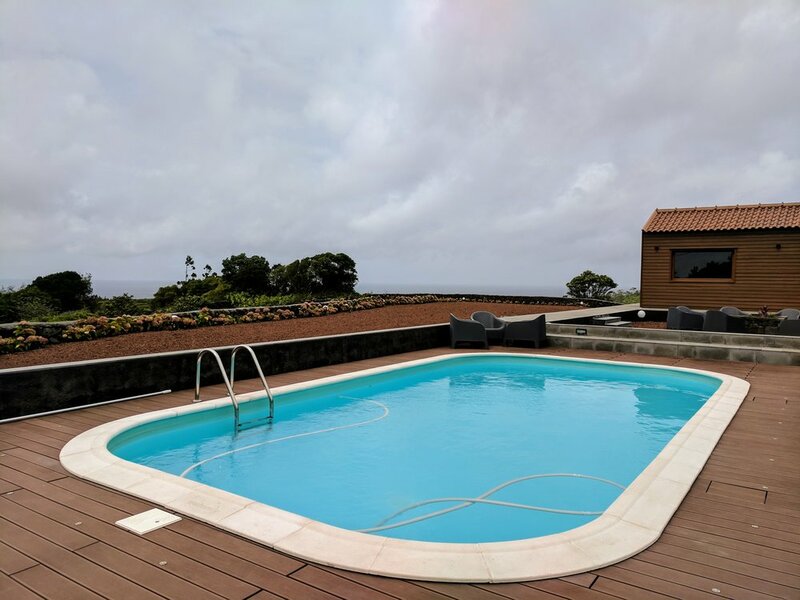 Going to miradouro was my top thing to do in Sao Miguel. This was one of the took my breath away moments. After the short hike to the top of this point, my jaw dropped. One of the most beautiful things I've ever seen. The only way to get a decent picture as it was so windy! Green on green on green! 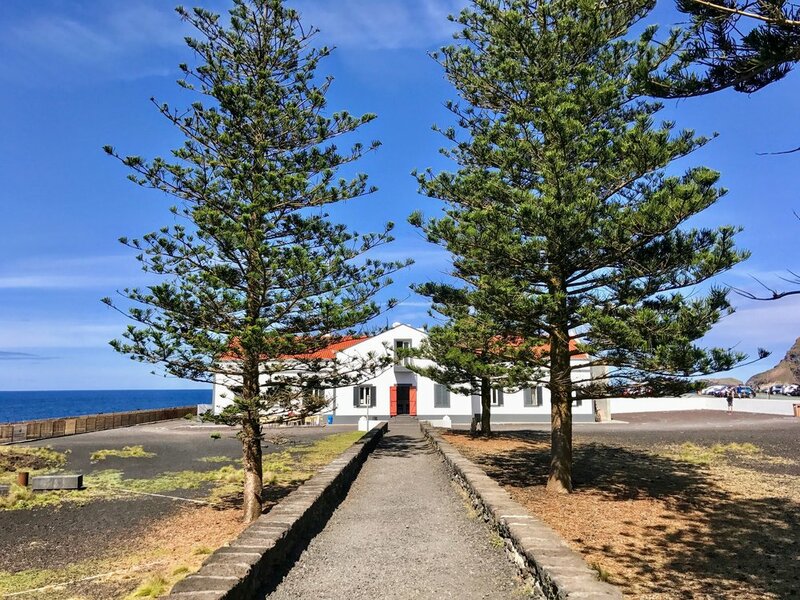 Sete Ciadades was the second most wanted thing to do on my list in Sao Miguel. This is one of the 7 Natural Wonders of Portugal and showcases the Green and Blue Lakes. One of my favorite pictures I took on this trip. After seeing all the beautiful scenic spots, our last stop was visiting Ponta da Ferraria. 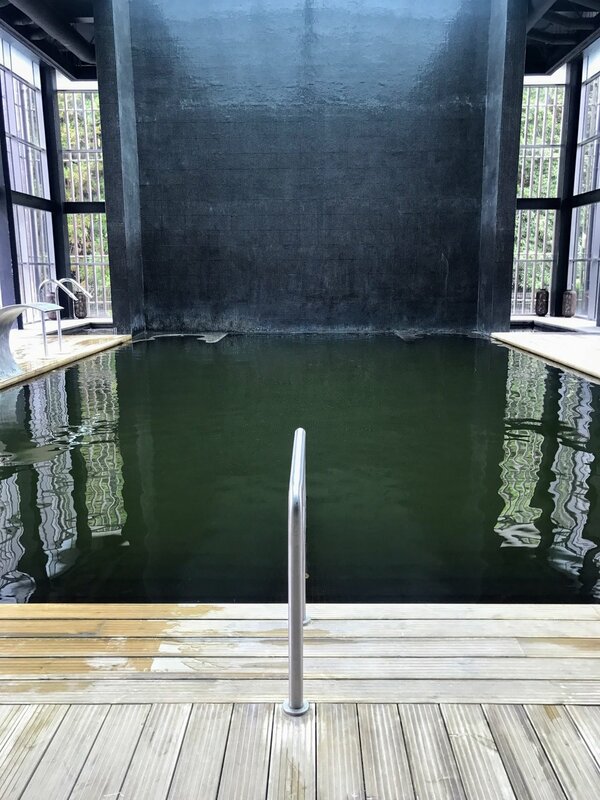 I know, you're probably saying another thermal pool? BUT this one was an all natural one in the ocean! It was much more chilly than other thermal pools but worth the trip. 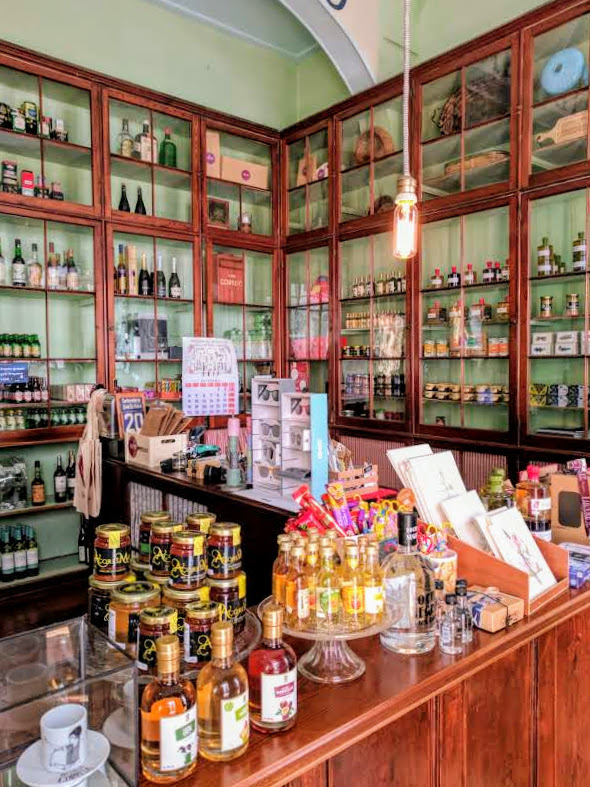 Our favorite cafe in Sao Miguel was Louvre Michaelense. It was one of the only places that made a latte. It also had a Harry Potter vibe to it! 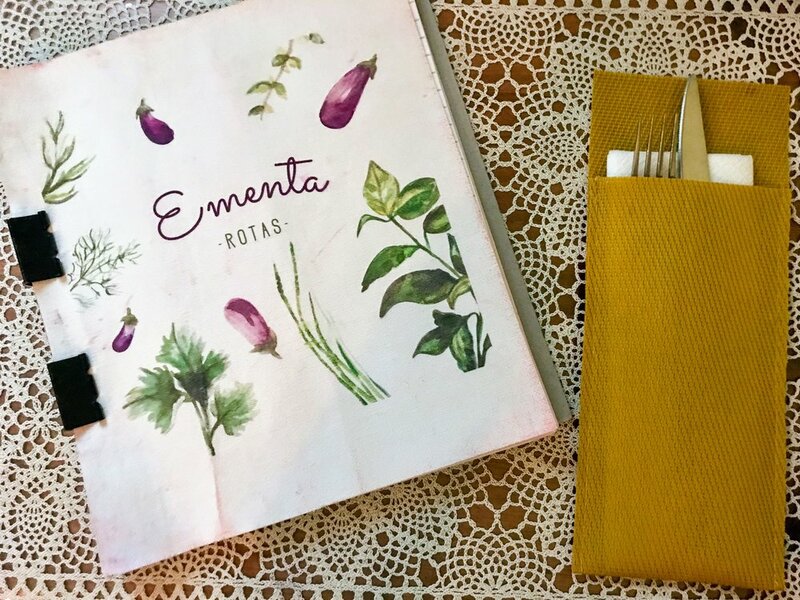 The best restaurant in Sao MIguel was a vegetarian restaurant called Rotas. They were full the night we went, so we had to the next night. I was so worth the wait. They treat you like family from the moment you walk in and the food was delicious. Meals in Portugal are not served with veggies, so we were dying to get some in! Be sure to make a reservation and go here. Made a quick drive to the viewpoint of Lagoa do Fogo. 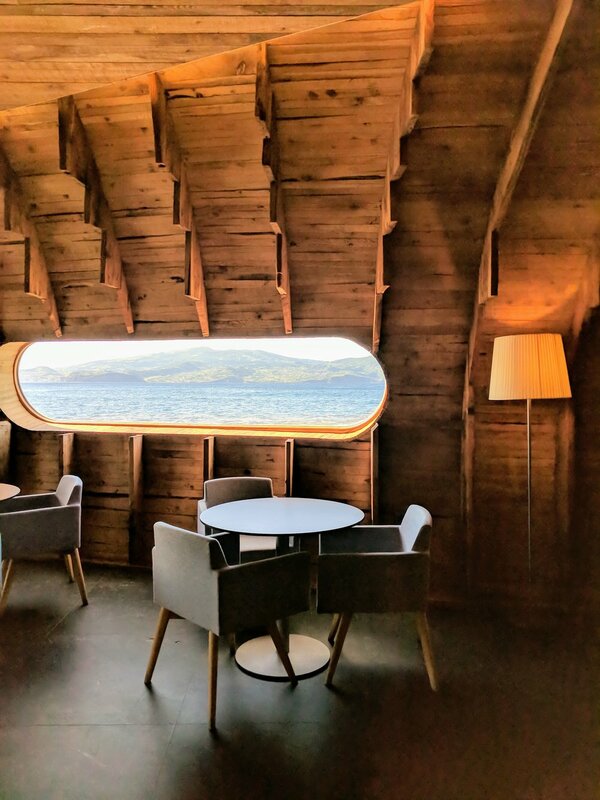 How can a place have so many stunning lakes and views? Before we left Sao Miguel, we wanted to visit the Arruda pineapple plantation. 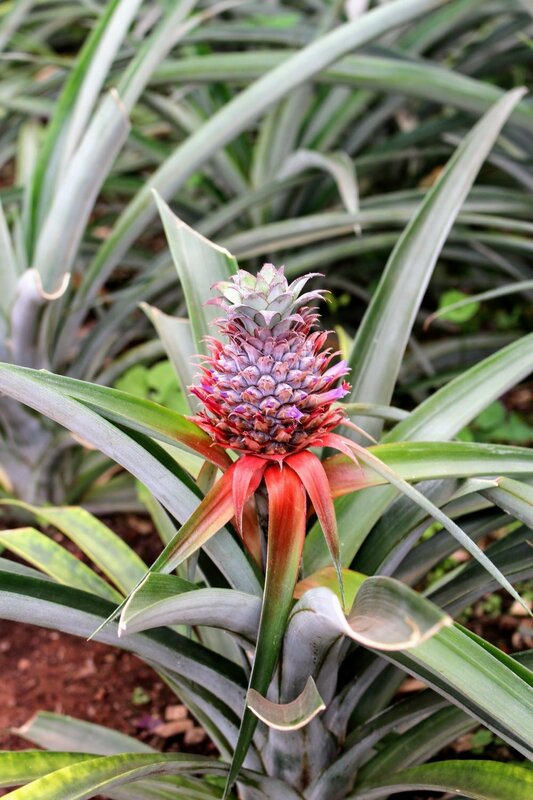 Did you know on average the complete cycle of the pineapple crop lasts 18 months? Don't ever waste pineapple! The pineapple houses on the property. Each house represents a different stage of growth. I lied. The last thing we did prior to leaving Sao Miguel was visiting Caldeira Velha. We almost skipped this because it was raining so hard. I'm so so glad we didn't! The springs kept us nice n' warm. The next island we visited was Pico. Pico features a volcano, Ponta do Pico, which is the highest mountain in Portugal. Hiking up Mount Pico is the most popular thing to do here. We were going to take the plunge and do this hike until we read all of the very honest reviews. This article is helpful. We found out that 1/3 of climbers do not make it to the top, it's very dangerous, it can take 8-9 hours, and having a guide go with you is highly recommended. Pico is also known for its black volcanic earth that's responsible for its historical vineyards. So, we decided on lots of wine drinking instead. Home sweet home for a few nights! I wanted to get a very authentic Pico experience, so we chose to stay in an Airbnb. Boy did I get an authentic experience. The house was pretty remote, had no wifi, and there were a lot of bug friends staying with us. I can't wait to show you how cool this house was. See below! 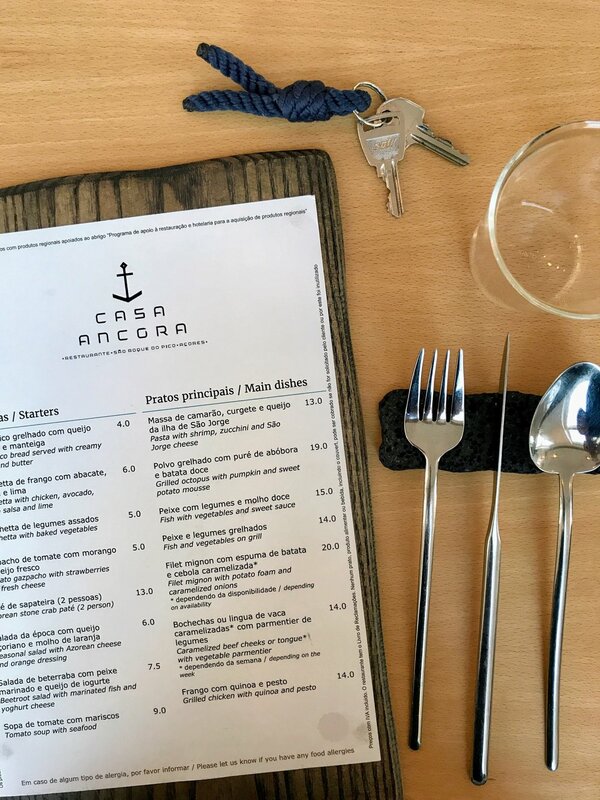 Casa Ancora was our favorite restaurant on the island. The restaurant was sleek and modern inside. The food was also to die for. 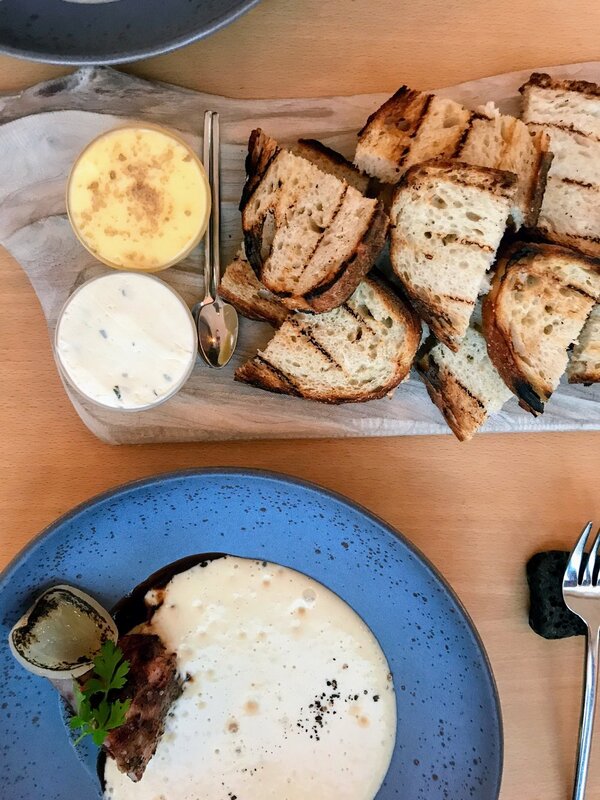 I'm pretty sure I ordered another round of that bread. It was so god. This was a wine bar/shop off the side of the road in Pico. That view outside of the window is real. 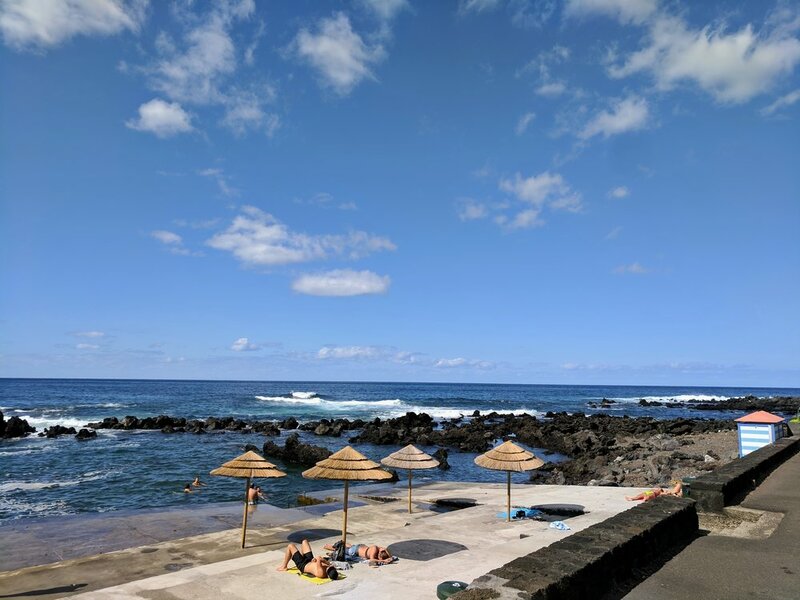 These little public beaches were along the eintire coast of Pico! Fruits on the side of the road. The vineyards of Pico. Who knew vineyards would thrive on volcanic rock?! Our last night in Pico we stayed at Alma do Pico. This property consisted of nature bungalows in the forest of Pico. The owners were so sweet. They also happen to have the best restaurant in Pico on their property- Atmosfera. We visited one more island (by ferry this time) called Faial. We just went for the day. Its known for the massive volcano and the colorful houses. 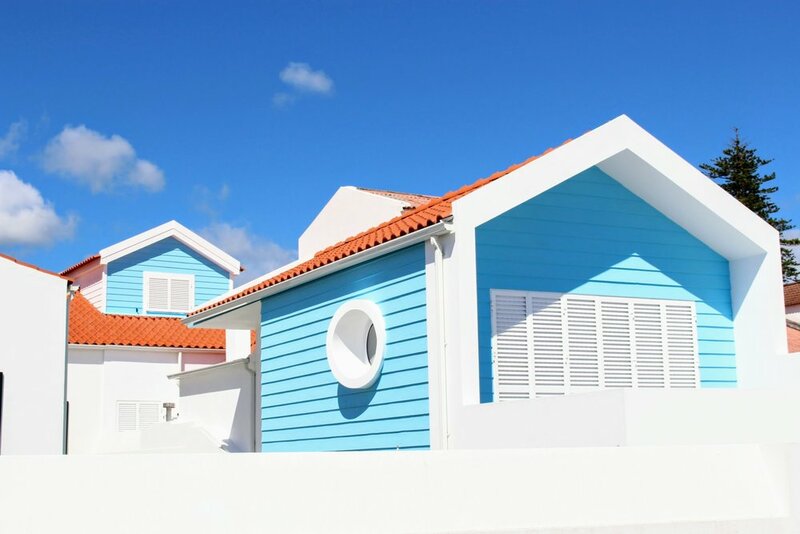 The colorful homes in Faial. 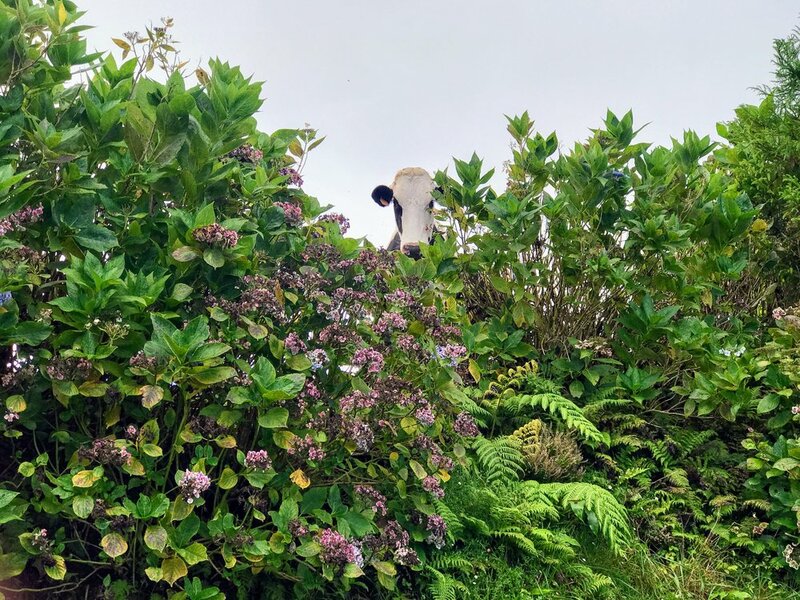 Man, the Azores were incredible. 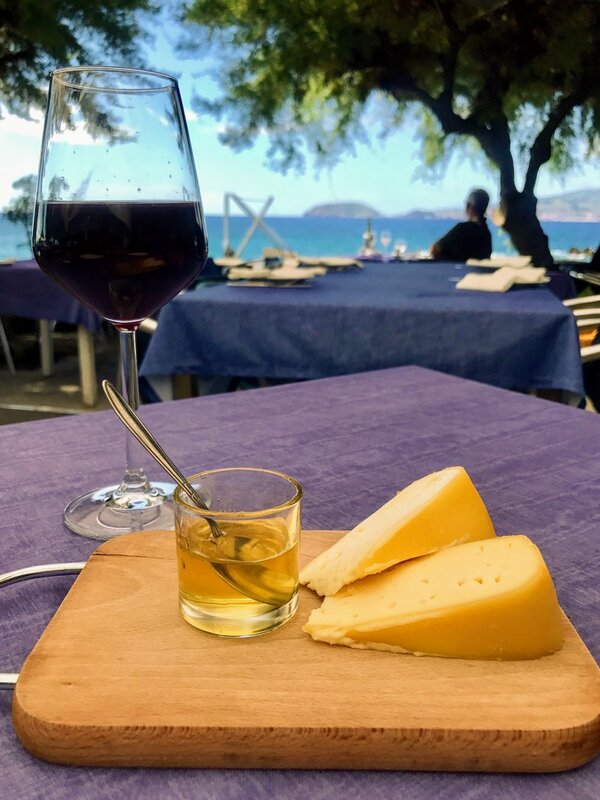 Each island has something different to offer. The people that live there are so kind. Some of the most beautiful things to see in this world are there. If you get the chance, go before they become incredibly popular.